For the Love of St Paul! Oh, for the love of St. Paul! 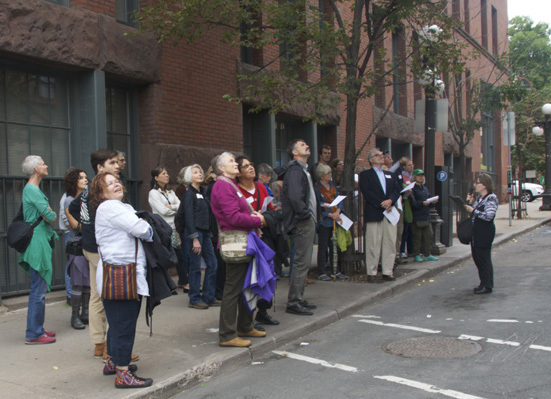 A lively architectural tour of the City of St. Paul happened on September 14th. Rosemary led a 17 block walk from the farmer’s market in Lowertown past 30 buildings, 25 of which are on the National Register of Historic Place. The tour ended at the oldest commercial building still on its original site in either downtown Minneapolis or St. Paul. Yes, that same building served as Minnesota’s arsenal from 1865-1880. Any guess on the current building name? The tour benefited Fundacion Comunidad www.fundacioncomunidad.org. Comunidad runs six preschools in Peru, along with supporting 12 scholarship students, and provides approximately 350 daily school lunches. Melanie Ebertz is one of the non-profit’s founders and the creative genius behind Art Andes www.artandes.com. Check it out. Did you guess right? The building is the Original Coney Island, housed in two buildings, built in 1858 and 1884, and the smaller of the two buildings is the oldest. Specs – not the eyewear variety but just as eye-opening. 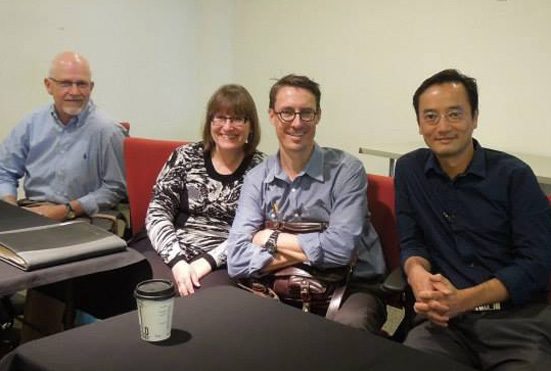 Rosemary recently presented a seminar on Residential Specifications at AIA Minnesota with colleagues Paul Hannan, Mark Larson and Tan Nguyen. Specifications are the technical language that architects use to communicate details on a project. Everyone thinks that architects only do drawings, but specifications are the other part of any project. For example, drawings show the quantity – you can count the number of doors on the drawings. What exactly are the doors? Specifications show the quality. For instance, are the doors wood or metal or fiberglass, how many coats of varnish or paint, what type of hardware, the manufacturer and model number, type of glass, frame, thresholds, etc. Specifications are the written description of the materials, products, standards and workmanship used to construct a building. Together with the drawings, specifications form what the industry refers to as the Contract Documents for construction. We are passionate about the vision of our designs. We prepare carefully detailed drawings and specifications so that the construction team can turn that vision into reality.